WELCOME TO THE CONSULAR SECTION OF THE EMBASSY OF THE REPUBLIC OF ANGOLA IN ACCRA, REPUBLIC OF GHANA. The Consular Section of the Embassy of the Republic of Angola in Accra, Ghana, provides assistance and services to Angolan citizens living in the area of its jurisdiction as well as visa services for Ghanaians and Foreign citizens residing in the Republic of Ghana. Foreign citizens, holders of ordinary passaport, wishing to travel to Angola should be in possession of a resident permit visa granted by the Ghana Immigration Services, valid for at least six (6) months. Other services include issuance and renovation of a national passport (Angolan citizens only), notary and legalization services (birth registration, marriage registration and transcription of the marriage and certificate of death, authentications of documents, power of attorney etc). The Consular Act of Civil Registry is the one who is related to legal facts that create, modify or extinguish the status of civilian nationals residing abroad or, occasionally, who practice is provided in the legislation regarding the registration process conducted in a civil and consular post, or Consulates. c) the parents or one of them will be accompanied by a document identifying them as parents of the newborn (Angolans abroad). For transcriptions of the marriage process celebrated in Ghana, the interested must, above of the all mentioned documentation, they must supply the Marriage Certificate issued by the Ghanaian authority and it must be translated into Portuguese. The Consular Registration, is a mandatory act, in principle at no cost, whereby the identification of the citizen is given on national archives of the consular post by the area of jurisdiction fixed of residence, and immigrant, or is occasionally overseas for period of six months. The General Military Service Law No 1/93 of March 23rd and the Council of Ministers Resolution No 18/98 of December 31st, stipulates that every national citizen who reach 18 years of age must identify themselves. 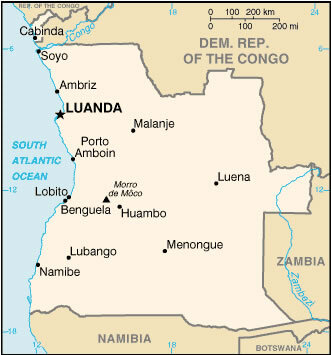 Those who are outside the country (Angola) they must adjusted their status with the military Services at Consular Sector. c) Issue of military ballots. Requests for entry visa in regular passport must be made in person by the interested party, with the exception of senior officials and diplomatic passport holders. 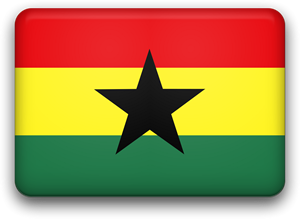 Angolan Citizens newly arrived in Ghana, are recommended to Register in this Consular Sector, by filling the Consular Registration form (Form in pdf). The processes of registration is free of charge..